Note: This article contains plot spoilers for Homecoming. 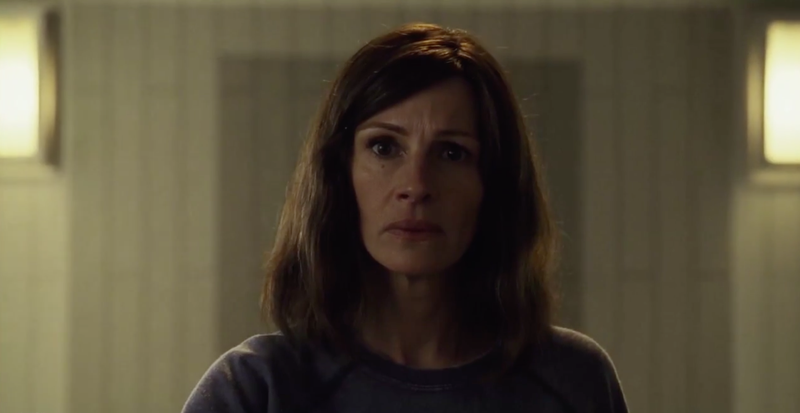 Julia Roberts turned in a hell of a performance on Amazon’s Homecoming, the acclaimed podcast-turned-series from Mr. Robot’s Sam Esmail. Unfortunately, it’ll have to suffice for fans of the show. Per The Hollywood Reporter (with a confirmation from Entertainment Weekly), the actress won’t be returning as the memory-bereft Heidi for the show’s planned second season. She will, however, remain an executive producer on the series. “We’re working on a second season, but we have a very different trajectory for our show,” Esmail told THR, who note that the second season will be built around Bobby Cannavale’s Colin Belfast and Hong Chau’s Audrey Temple, who now lords over him at The Geist Group. One can likely assume, then, that Stephan James’ Walter and Sissy Spacek’s Ellen, won’t be returning, what with their roles being Heidi-centric. It does, however, mean that we could see more of Shea Whigham’s Thomas Carrasco, whose interest in Geist has, shall we say, been piqued.